That is not a steak I would buy for day to day eating but if I felt like ANY "at home" cooking method would do justice to a piece of meat like that I would consider ordering it from time to time for a special treat. I can fire up the grill to a high temp and sear it, pull it aside and let it finish, etc but my question is...is that enough? Or am I better off ordering that level of steak at a restaurant and sticking to a good prime steak at the house? Have you ordered from them Russ? Ironically I am working on a piece for my blog that covers this exact topic. I will give you guys a sneak peak here as I think it will answer some of your questions. Please note that being a city slicker I don't have a grill so I use my kitchen but I have to say that I find my method, using cast iron to be more flavor neutral than a grill, although one can certainly generate more heart with an open fire. If you have good ventilation and are prepared for a little heat in the kitchen it is possible to achieve a restaurant quality steak at home You are going to need a thick steak. At least 2 inches if you like it rare and I am going to insist that you buy it fresh from a butcher and preferably dry aged. 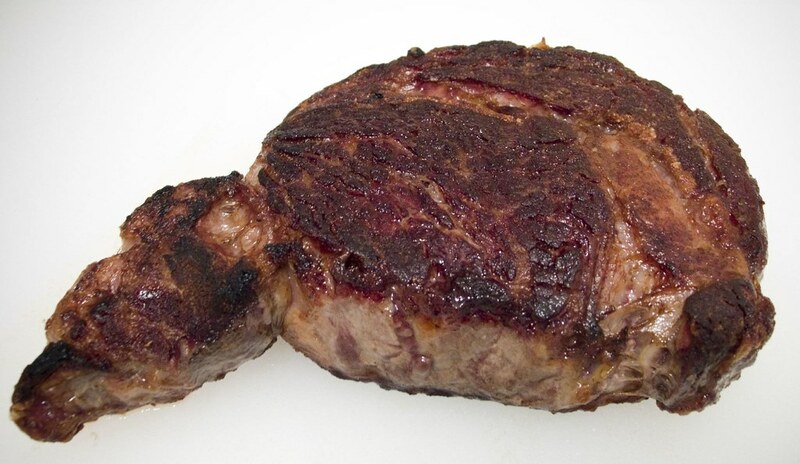 A dry aged for 28 days USDA Prime rib eye steak from Lobels. The real problem the home cook faces when cooking steak is achieving the high levels of heat necessary to violently sear the meat, generate a thick, charred crust while maintaining correct internal temperature. Residential broilers simply do not generate enough heat. They cannot compete with the mega BTU output of commercial broilers. The best solution is the cast iron skillet. It excels it providing high temperatures with even heat distribution and it can go from stove top to the oven or broiler for finishing. 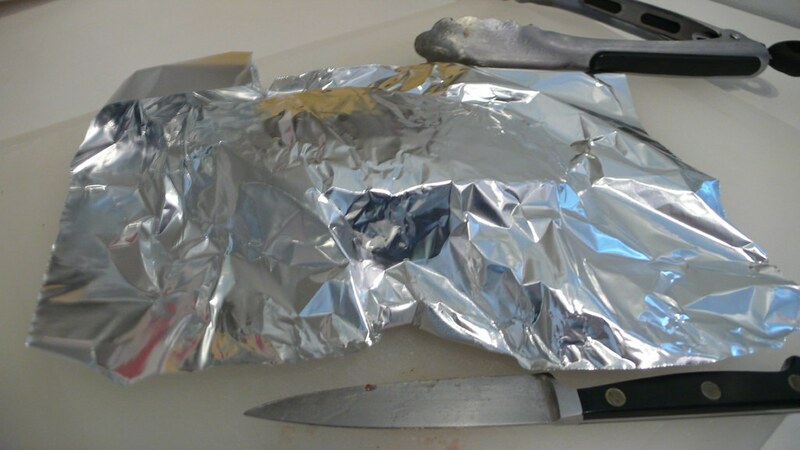 It also does not lose substantial amounts of heat when food hits it. To begin with you should leave your steaks out of the fridge for at least an hour or longer depending on the thickness of the cut. The goal is to bring the meat to room temperature, a cold steak will contract when it hits the heat and this wall cause it to toughen. You want a nice relaxed piece of beef. I only apply salt moments before cooking because salt will soak up moisture and could potentially dry out your steak if seasoned too far ahead of time. Personally the steak that I buy are of such high quality that I don't even apply pepper. As for the salt go for Kosher or real sea salt, it make a difference. It may seem like over kill but I like to heat up my skillet on the stove top for a good 20 minutes before I use it. I like it to cause water to skit on the surface as soon as it hits the pan. I also preheat the broiler, while a home broiler won't give you the initial searing effect it is excellent at crisping up meat that has already been charred and bringing the steak to desired temperature. A note about temperature, in steakhouses I like my meat black and blue, completely charred on the outside, cool on the inside. but this is hard to do using this method, so I generally eat my steaks rare at home. I really don't recommend eating anything beyond medium rare, unless it is a particularly thick rib eye which will still be flavorful at medium. Really you are killing a lot of the flavor by cooking the flesh through. 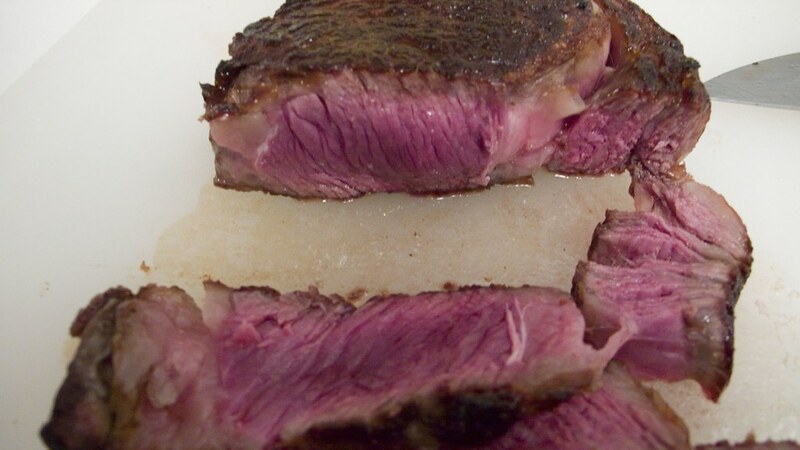 Using the method described here you will be able to achieve a rare steak while getting all of the flavor and texture that a top restaurant will offer. Once your pan is nice and hot, I use an infra red thermometer to make sure it reads at least 600 degrees, I place the steak in the skillet and press gently just to make sure that full contact is made. You could rub the steaks with peanut oil or clarified butter (clarified butter will burn at a much higher temperature than butter with milk solids in it) I don't recommend olive of other vegestable oils as they tend to have low smoke points. Personally the steak that I buy are fatty enough that I use no oil at all. I usually let the steak sear for 2-3 minutes per side on the stove top, at these temperatures it is enough to put a dark crust on the steak. You can of course use a meat thermometer, and probably should your first few times out, but I don't like poking my meat if I can help it. oh, wow. That's some great stuff.....nice! Does your grill have multiple burners or are you using charcoal? My grill has 3 burners so here is how I do it. place the steak on the grill grate, wait 60 - 90 seconds then using tongs give the steak a 1/4 turn, wait another 60 - 90 seconds, then flip the steak over with tongs and repeat. Make sure to close the grill hood while cooking during this step. Remove steak from grill and let rest. BA, I also cook my steaks in the skillet from the stove top to the broiler method you use, and I've had great success. The thing that i do differently is that I salt the pan. I got that idea from a french cookbook, and I while I still don't completely understand why it is better to salt the pan instead of the meat, I must say it works great. Thanks for the tip Robearjr! I will try it this week as I am going up to Lobels to pick up some steaks. I obviously live in NYC and while Lobels is not exactly local it is close enough. The thing that i do differently is that I salt the pan. I got that idea from a french cookbook, and I while I still don't completely understand why it is better to salt the pan instead of the meat, I must say it works great. If you pre-salt the meat, the salt begins to draw moisture out of the beef, thus diluting the saltiness, which could lead to a drier steak. If you get the pan hot and salt it, before adding the meat. Then when the meat is placed in the hot pan it begins to sear forming the crust, thus the salt does not have a chance to draw the moisture out of the steak. Giving you a seasoned steak without drying it out. BA's method is definately the closest you'll get to a steakhouse result. While he stated such, I must repeat the warning that you should have VERY GOOD VENTILATION to use this method. I had one question, what do you do for the second side of the steak? Once the fat begins rendering it will be fairly greasy in the skillet. Wow! What a great looking steak. Restaurant quality for sure! you're killin' me here. PERFECT!!! 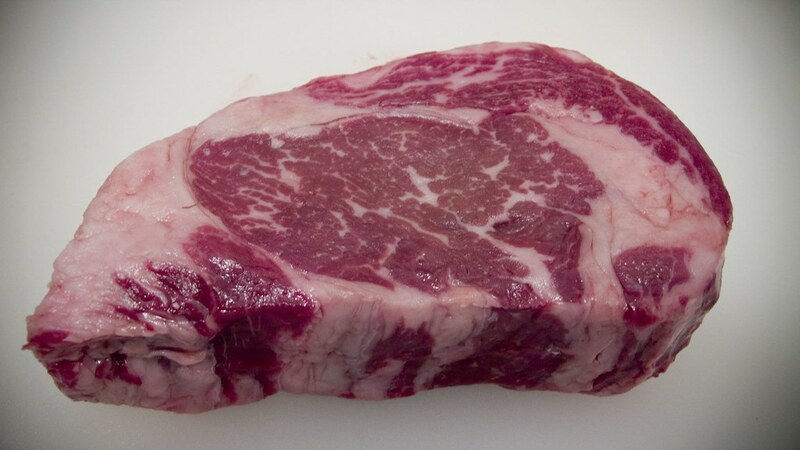 Great picture of a great steak..for an apartment environment. But, at what cost? The apartment has to smell from fat for days. And the hallways? Do the neighbors complain? maybe you truly have a real ventilation system? 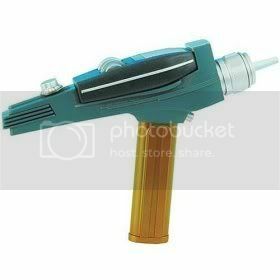 Can y ou imagin if it's one of those toys that brings the smoke right back in the room!! At Peter Lugers, back in the early 1980's, they used Franklin Chef radiant upright broilers...Surpisingly, not radiant charbroilers. Personally, I like the char-broiled taste. Their BTU's capacity was I believe around 1200..Sorry I cannot remember exactly, but a good friend of mine sold them to them. I'm guessing they have probably replaced those broilers a couple of times since? That heat really tears up that equipement. After the porterhouse steak comes out, Luger's puts butter on it. The meat they use to start with is something you may or may not even be able to get. One of the two women who own the place goes to the market...They did a whole show on Peter Luger's. How they age it, etc. Heating a cast iron skillet for 20 minutes is wild. What does that apartment smell like when all is said and done? I have a friend who doctored up his outside Ducane charbroiler and he contends he gets 800 BTU's. Mine gets 600 BTU's if I'm lucky. It is so aggravating. I've just resigned myself that if I want a great steak, I have to go to a place equipped to get that quality meat and cook them properly. But, that steak does look terrific! Larry... Reading your top post, I get the impression that you want to do a mail order steak... Or then maybe not..
Find a local butcher that will sell you a grain fed chunk of cow, one that has not been fed concrete or any other filler to tip the scales at the wholesale shop, when they try to pawn off these cows..
Hey UV, I've got a good local butcher that I get my every day steaks from and they are very good but I can't get prime or dry aged steaks in this area so I order online. I've purchased from Allen Bros, Lobel, and others, but I have not spent $200 on a couple of steaks like Peter Luger or some other high-end shop. So the question posed above is about that next step...can you really cook a $100 steak at home that rivals a restaurant cooked steak or is it better to leave that to professional restaurants. 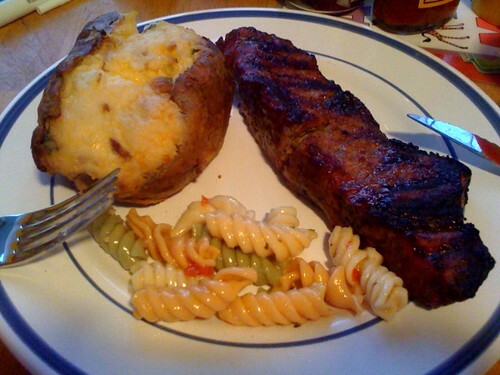 The steaks I cook at home are very good but as we all know most home kitchens (inside or outside) have limitations. My current method is very similar to CajunKings above with the addition of some wood added to the grill for additional flavor. I appreciate all the feedback and I think the answer for me is to wait until I get out of this condo at the end of the year before I experiment with higher temps. If you don't have a grill with real charcoal and wood chips of your choice, (I use different woods for different purposes and grill year 'round. Fortunately, I'm in a temperate region and enjoy that luxury), heat your pan to medium-high, (doesn't matter what type, I prefer cast iron, however, non-stick works best for ease), use a pat of butter and a teaspoon of oil. Season the steak(s) with salt, pepper, Johnny's, garlic powder, and whatever else may catch your fancy. Cook on one side to a good sear, flip and sear again. If it is still not done to your particular taste, do not hesitate to flip it another time or two. This is stove-top, after all... . I cannot stand meat done on stove-top, however, I have found, that in a pinch, this works and is quite tasty. Second best, yes. Inedible, no. Also, I must confess, that the places I order steak out are few and far between. Very few and far between. IMHO, a decent steak is just not obtainable simply because the restaurant touts itself as a "steak house." (Gives me the shivers, LOL!!) The best steak is always from home, (just as is the best Lowcountry Boil, etc. ), and this steak method is my next best. Third would be to go to a restaurant. Would you like for me to cook a steak for you, Larry? LOL!!!! Happy Eating!! No desrespect intended, though, as far as searing the meat and setting it aside on indirect heat, that just drains the juice and kills a nice cut of food. IMHO. ... and when that is fully burning in the grill, I dump another load of charcoal on top of that, straight from the bag. With the reflection from the bottom/sides/top of the Fire Magic box, I get an extremely hot grill. Note the mesh bottom of the charcoal holder that allows increased air flow for a hotter fire. I get readings of from 950º F. or higher. Cook until done, flipping half-way through. Let rest for 10 minutes. Serve on heated plate, with freshly-ground pepper and sea salt available for seasoning to taste. The wife likes hers medium to medium-well , so I use a Thermopen on hers. Just make sure you use plenty of salt/pepper-you can have the best piece of steak if you do not season it will tast like crap! Baah Ben, your priorities are askew. Like a bird dog, bringing us back to point... .
OR also suffers from the fact he/she lives in a condo and as a result has no grilling capabilities/opportunities. Correct me if I'm wrong. Please. Miami Don..That's is sooo beautiful. I love your effort. That is incredible. The posters on this this website are the best! I am constantly amazed at the caliber of knowledge the posters have here. Fantastic! I think we can all agree that there are many many problems in duplicating what you can get at Sparks, Lugers, etc. The keys being getting the right piece of meat and a mosnter high heat cooker. Reminds me when I was into cooking Chinese. I did the shrimp toast, the fan tail shrimp, the egg rolls, etc...anything fried because I could match their quality and frying temperature...We all can....365 and your good to go. No commercial fryer needed. But, I couldn't reproduce their wok items when they are firing on 1200 BTU's big boy woks! I have a electric wok. Pleeze. So, when I use to feel like doing Chinese (much too much prep work), I'd stick to fried items, won ton soup from scratch, BBQ roast pork and ribs..everyone was happy. No way I could even make fried rice in any stove top wok..So, I just put out white rice. I love those pictures!! Only 650? Maybe I read that wrong. Got to recheck that. Yeah I see it now!!! Sorry...950 degrees FANTASTIC!! What an effort! Laser Thermometer? Thermopen? Why not just set the attached on stun and give her a little blast? I kid of course, I love gadgets. I am fortunate in that I live on the 18th floor and have windows on both sides of my kitchen so the smoke gets extracted quickly. In fact you can't even tell I am cooking in the hallway of my building. Matilda, I must take issue with your derision of stove top cooking, especially because the method you describe seems flawed. Firstly, the cooking surface makes a huge difference. Non stick surfaces are not recommended for ultra high heat preparation and they do not provide the temperature stability of cast iron. Also you mention using medium to high heat, this seems too low, the idea is to violently sear the meat. You also mentioned using butter, I would recommend against this unless you use clarified butter as the smoke point for the milk solids is quite low. In general you are better off using peanut oil. Finally, flipping a steak more than once is considered by many a cardinal sin. Some of the best steaks I've ever eaten have been store-bought steaks. But there were things besides the quality of the meat that went into their preparation. Here's one way to do it. Steak for two: Take two bone-in, well-marbled, Choice sirloin steaks (preferably long bone). Big sirloins, at least an inch and a half thick. Put them in your cooler and take them to the Buffalo River in Arkansas on a warm day in March. Leave them in a cooler while you spend the day paddling 15 miles from Ponca to Erbie Ford. By the time you get off the river, you will be as hungry as an Arkansas black bear after hibernating. Take your steaks out of the cooler. While they are warming up a bit, collect a big pile of clean, dry hardwood limbs. Oak has a nice flavor. As the sun sets, build a roaring fire. You will let the fire cook down to coals; this will take at least 30 minutes. You'll want to put your oiled cast-iron grill stand in place once the wood pile has burnt down sufficiently. When the coals are ready, throw your steaks onto the grill and cook to your preferred temperature. Rare to medium-rare is mine. By now, you will be almost insane with hunger. Once they are done, let the steaks rest, if you can stand it. I'll bet you can't. The twin smells of woodsmoke and grilling steak will be too much to bear. With the river rushing by a few feet away, you will be gnawing on sirloin like a cave dweller before you know it. I vote for a home cooked steak on a BBQ grill fired with wood. After the snow melted off the grill following last weeks "blizzard" in Cincinnati, I went up to the stores picked out just a couple of nice looking strip steaks from the case for the wife and I and a Nathans hot dog for the boy. Took em home put just a bit of salt, pepper and garlic salt and put em on the grill set just a touch above "medium". flipped after about 17 minutes, i like my steak well done (blasphemy I know). After a bit, we let them rest for a few minutes. The ends were a bit crisp which is OK becasue the beagle loves it, but the inside had just a thin strip of light pink in the middle. Perfect for me, way too done for my wife's tastes. Overall they were great steaks, tender juicy. Store bought twice baked tater and some homemeade tri color pasta salad. It was a good dinner. I don't want to afford the price of mail order prime steaks, but I have found that Costco has some pretty nice steaks. They are about a pound a piece, and hubby and I split one. It is a shame you have to buy 4, because I hate to freeze them, but if eaten pretty quickly, they are still very good. Butter put on at the table is a treat, too. I usually salt and pepper them just before the grill, or use Greek Seasoning. I really like the Greek Seasoning, and use it on burgers, chicken and steaks. It's been many years since I've cooked a steak in the kitchen - we always grill outside no matter how nasty the weather. We fix steaks just like MiamiDon except I rub a small amount of olive oil on each side and rub them with a garlic clove and sprinkle them with coarsley ground pepper. 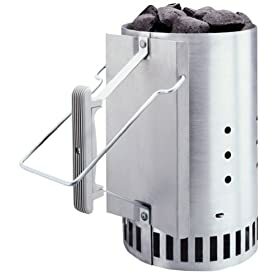 I totally agree with using the chimney starter for the charcoal - not only does it eliminate the fluid smell, but you get a nice even burn off for even cooking. Charred on the ouside an rare inside - mmmm, I'm heading to the butcher.